You’ve got to be careful with bright stripes—if they’re too bright or the color combination isn’t quite right, they can skew slightly Candy Man—but I think they can be so fun and chic, especially this time of year. 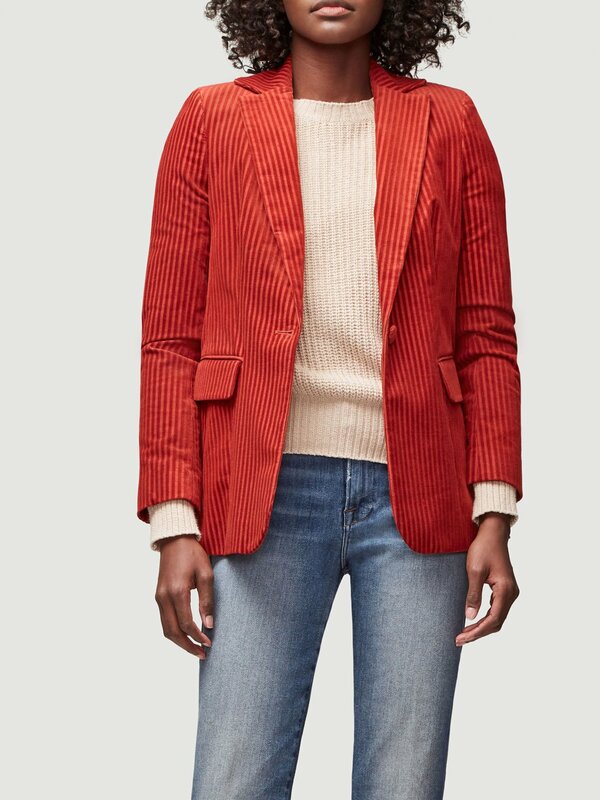 I love the red-on-red of this Frame Denim blazer: it almost looks like corduroy, but is much lighter. 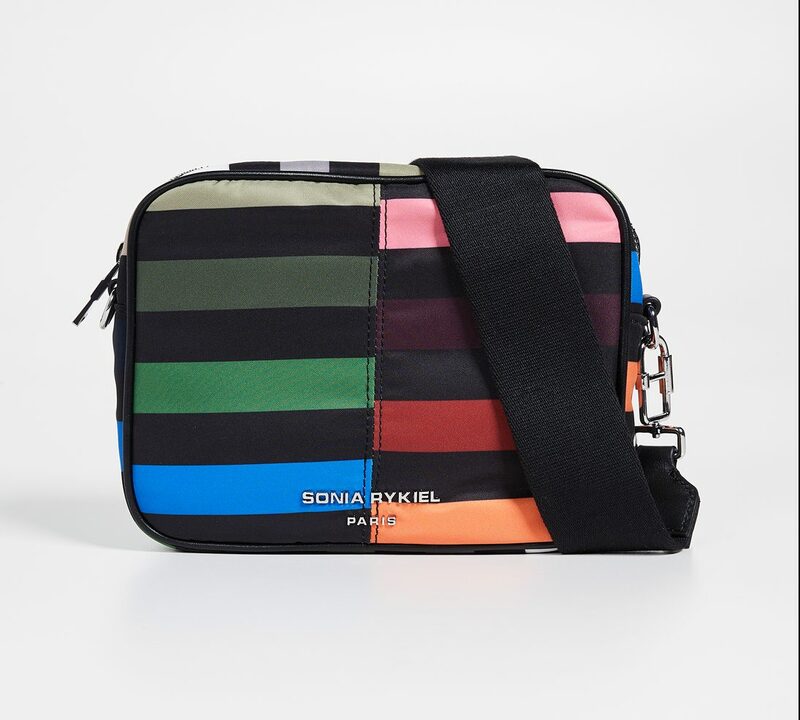 This bag features a really unlikely—but highly appealing—combination of hues. OK, this navy-and-white dress isn’t especially bright, but it’s so damned snappy. Pink and red really pops, and even though I usually don’t like such a high neckline, I think this is really cool. 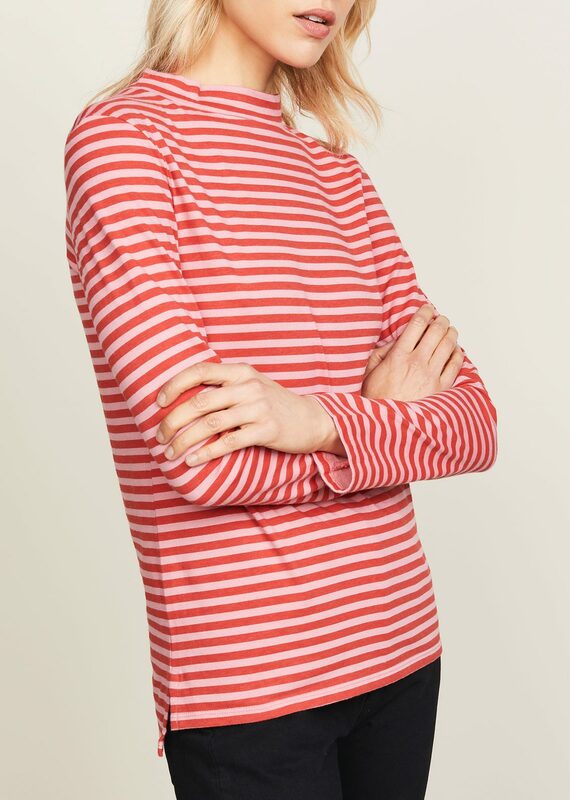 Also: here is a similar pink and white tee that’s super-cheap. 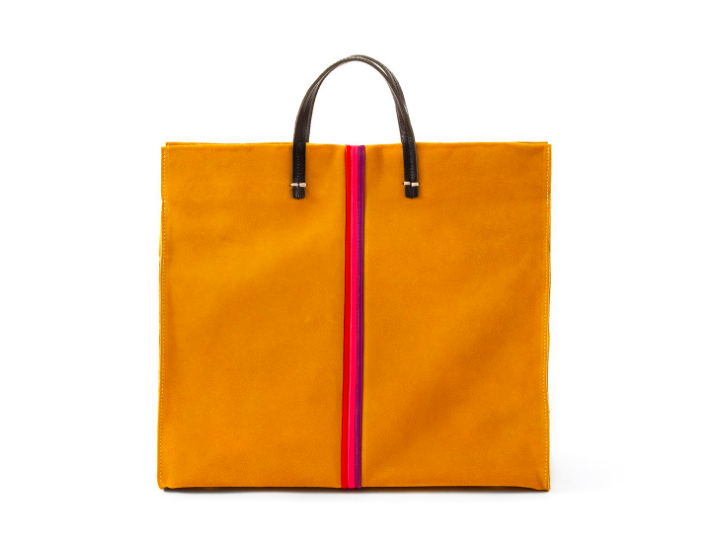 You know I’ve got a thing for yellow these days, but it’s not a color that everyone can pull off, and for those people, I suggest this Excellent Clare V tote. 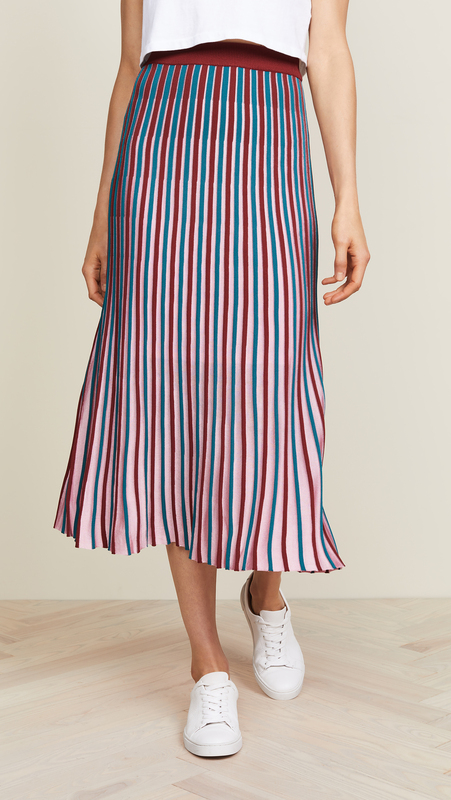 The silhouette of this skirt is just so graceful. 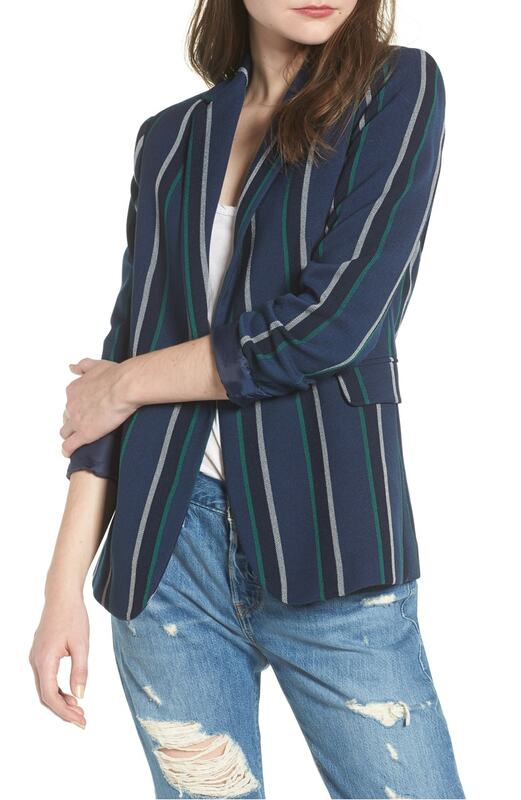 This blazer is so English Schoolboy. It’s also extremely well-priced. I dig the way the black and grey are integrated with brighter colors on this sweater, and believe this makes it a highly versatile piece. 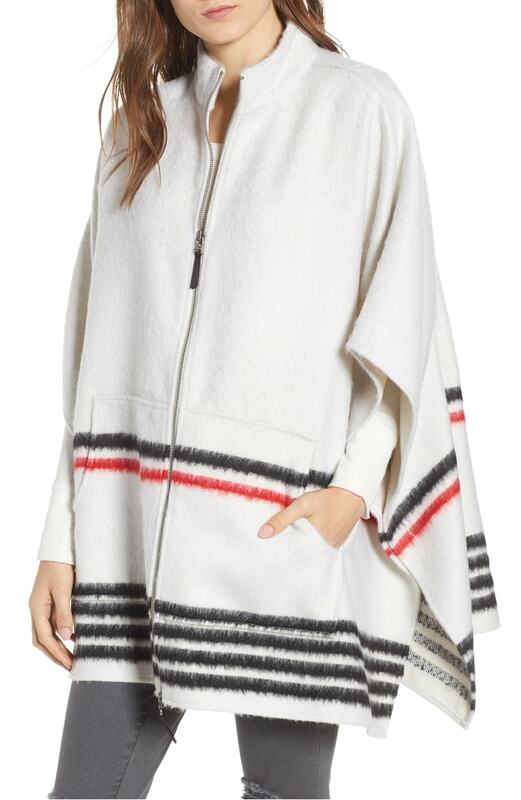 This cape is so Euro-preppy. 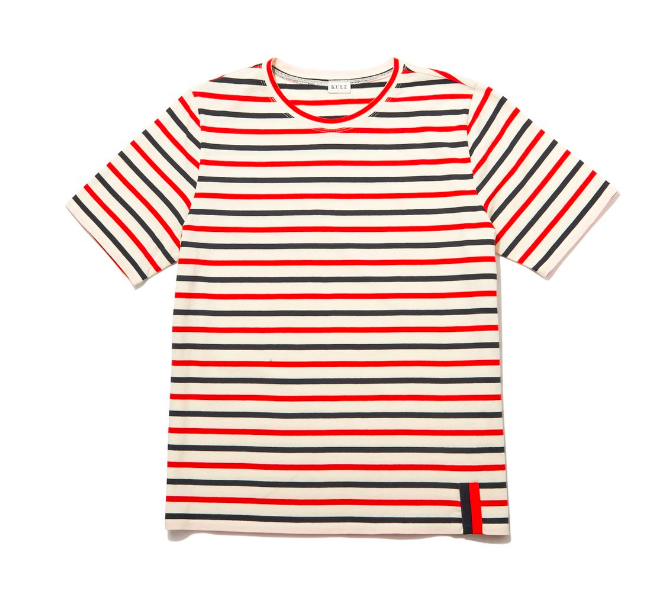 Any lover of stripes must check out Kule, because they have some of the best striped tees and tee dresses I’ve seen anywhere. This red, white, and blue specimen is very nearly perfect. 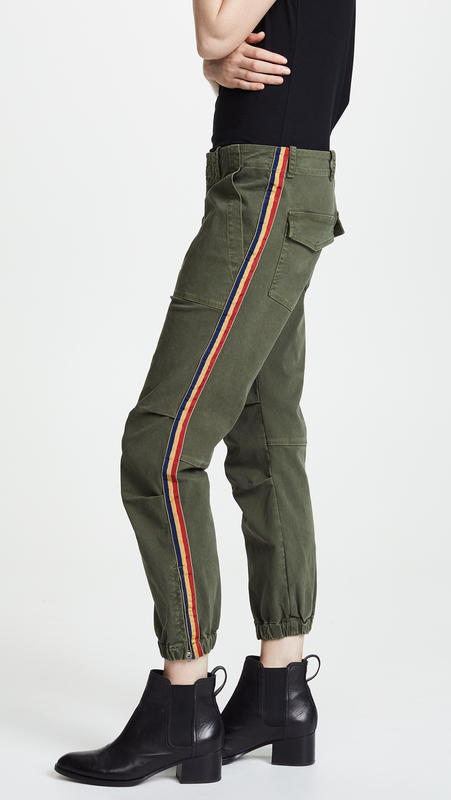 And I adore the striped detail on these Nili Lotan French military pants. 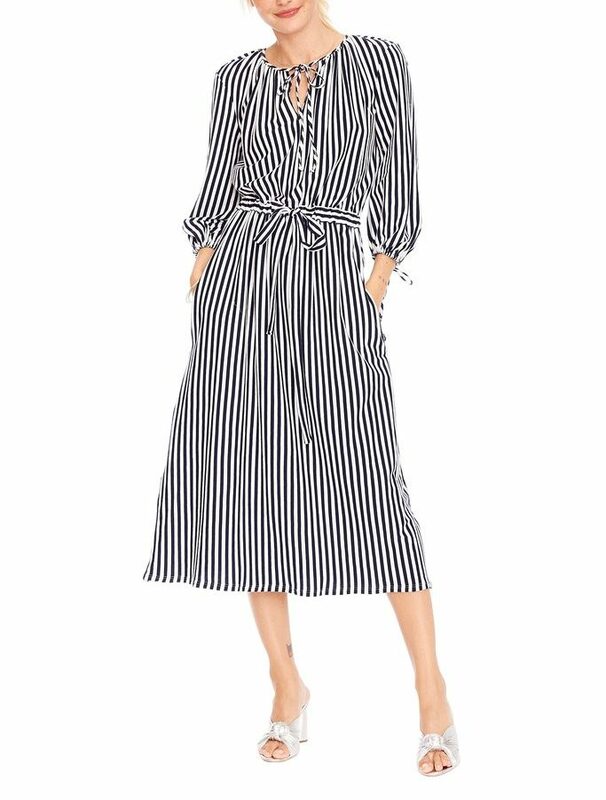 This Everlane dress appears to be on the shorter side, but the model is 5’9″, so it might hit closer to the knee on some of you. For you tall types, it might make an excellent beach coverup. 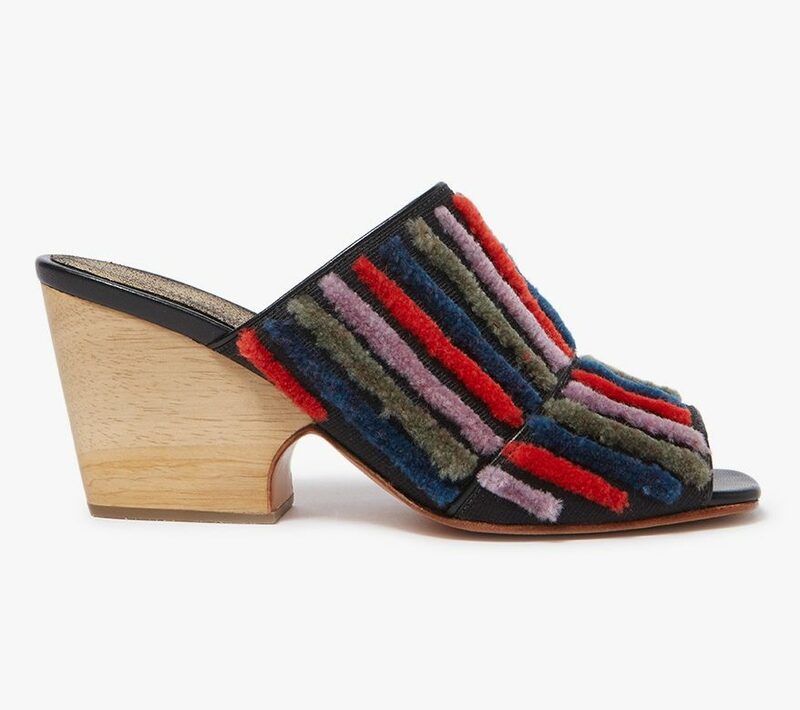 This furry mule from Rachel Comey is just a delight. 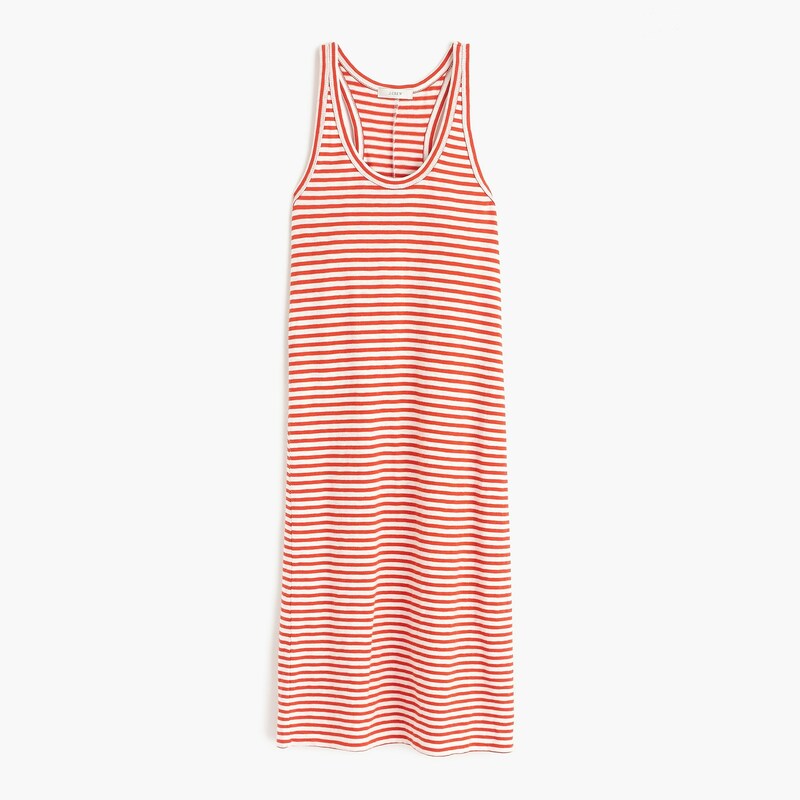 And finally: this tank dress is an ideal piece for kicking around on the weekend: it’s as easy as it could possibly be, but still rather put-together. Hey, the link for that navy and white dress doesn’t work and I’m dying to know where it’s from (and if I can afford it). Hey, the link for that navy and white dress doesn't work and I'm dying to know where it's from (and if I can afford it). Link fixed! Apologies for the delay. I am 100% a stripey girl. I cannot resist striped garments, but household items with stripes also call my name. So I splurged on the Nili Loten pants with the stripes. Mwah! *kisses fingers like a chef*. They are so damn good. I love the navy and white dress, so summery! You hit my sweet spot! Stripes ALWAYS. 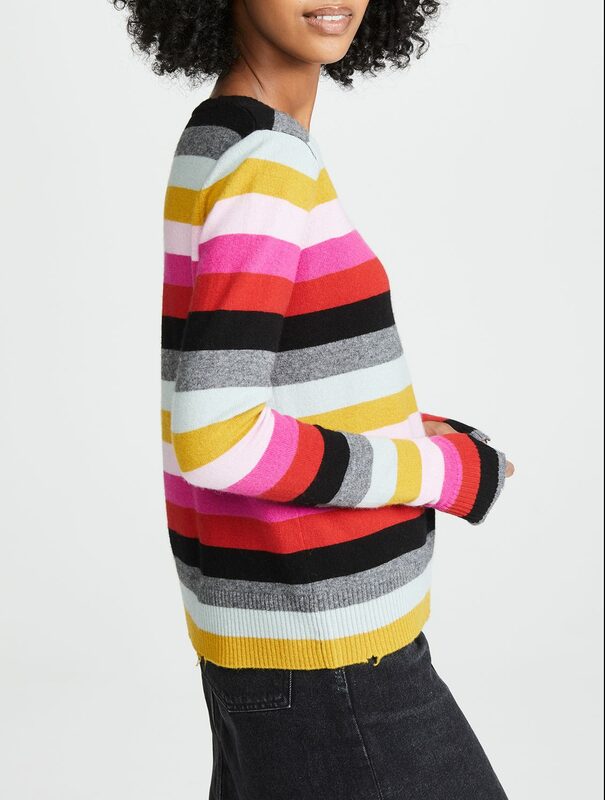 I am surprised that I like the striped sweater by Pam & Gela as much as I do. That’s usually my youngest daughter’s wheelhouse. Kule is damned near perfect, of course.